NEW YORK -- The NFL is not changing its national anthem policy to require players to stand during the national anthem. New York Giants owner John Mara noted that Cowboys owner Jerry Jones "spoke at length" to the other owners about the anthem issue. Jones has said any Dallas player who doesn't stand for the "Star-Spangled Banner" would not be playing. Goodell reiterated that the league and its 32 clubs "believe everyone should stand for the national anthem. It's an important part of the game." 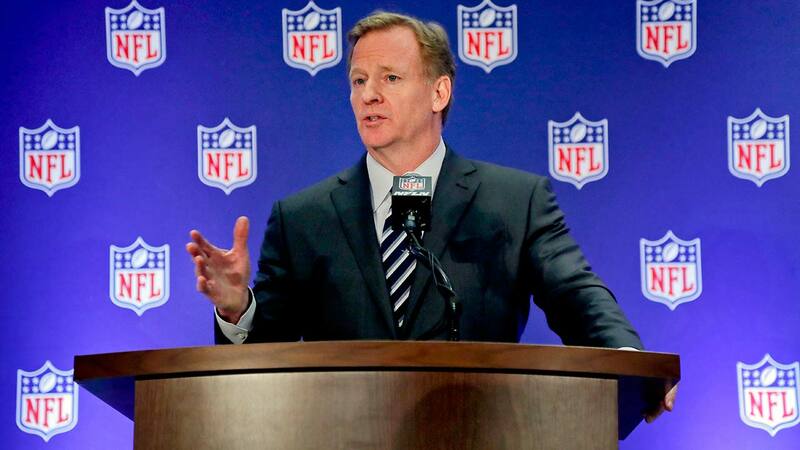 Asked about owners who threatened discipline for players who didn't stand, Goodell said the owners didn't discuss it.